The Uniformed Services Family Health Plan (USFHP) has a long history of service to members of the seven uniformed services and their families. Congress established the Marine Hospital Service for seamen. Hospitals were located throughout the country, including in Baltimore, Maryland. The Baltimore Marine Hospital became the United States Public Health Services Hospital and served both military and civilian populations. Legislation allowed the transfer of the public health hospital to Wyman Park Health System. Later in that decade, Johns Hopkins acquired Wyman Park, which later (along with six other public health hospitals) received designation as a Uniformed Services Treatment Facility (USTF) from the Department of Defense (DoD). The DoD converted all seven USTFs in the country, including Wyman Park, to a military managed care plan known as the Uniformed Services Family Health Plan. The US Family Health Plan became a designated provider for TRICARE Prime®. 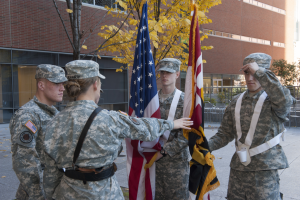 Johns Hopkins USFHP is proud of its heritage and long history of service to the military community, and continues its commitment to medical excellence.